Described as a ‘triple threat’ cleanser, Dr. Goldfaden’s multi-tasking Pure Start is a pH balanced gel cleanser which eliminates impurities, gentle dissolves dead skin cells and makes light work of make up removal. Refreshing and non-stripping, it’s suitable for all skin types and the perfect first step in any skin care ritual. 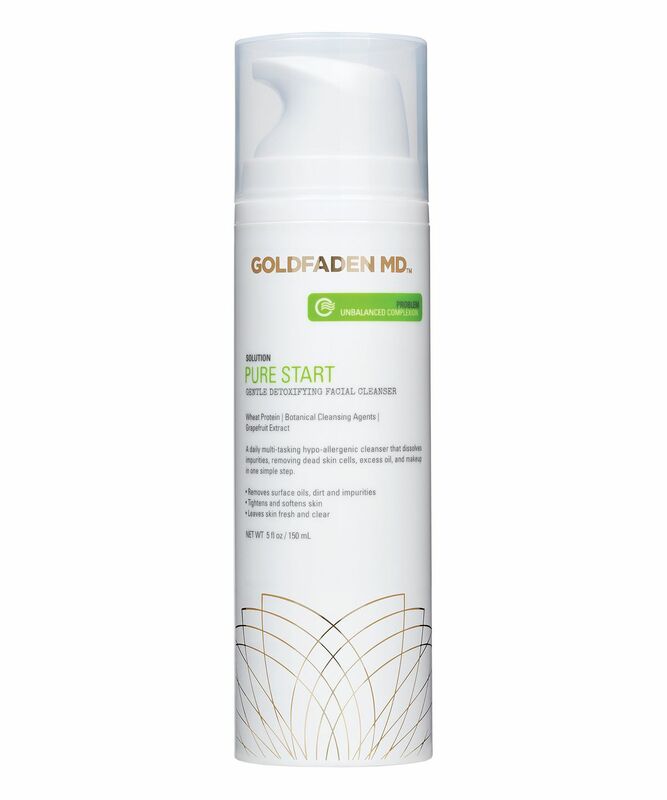 With the clean scent of citrus and a lightly foaming formula (this lathers naturally – there’s no synthetic foaming agent), Goldfaden MD’s Pure Start Gentle Detoxifying Facial Cleanser is brimming with antibacterial grapefruit oil to effortlessly dissolve dirt whilst keeping blemishes at bay. Hydrolysed wheat protein then works to leave skin feeling toned without tightness – enhancing moisture levels to promote a youthful plump and dewy firmness. To remove make up, apply directly to a cotton pad and sweep over your face (avoiding the eye area), then dampen skin and massage a pound-sized amount over complexion to combat congestion and leave skin feeling beautifully clean and serene. Gently massage a liberal amount of cleanser to damp skin. Rinse with warm water and pat skin dry. For optimal results, use morning and night. 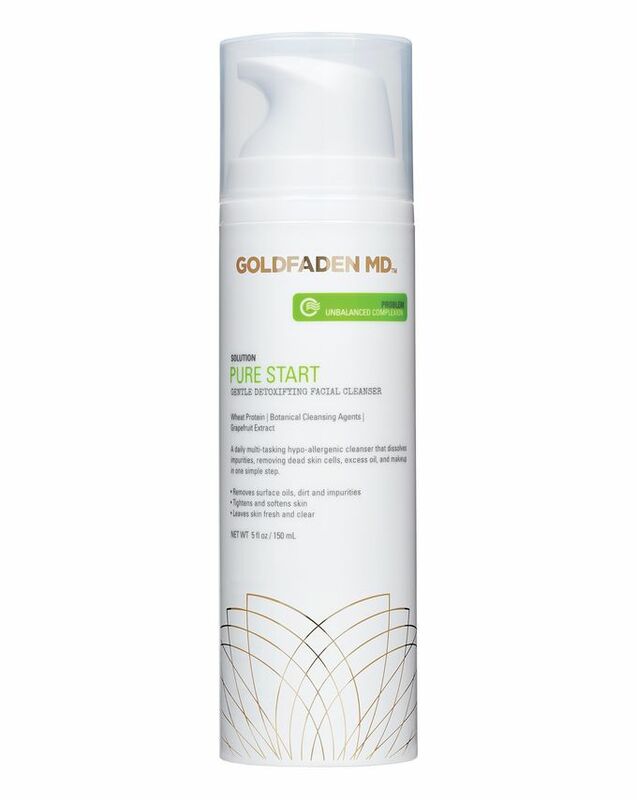 Follow with your favourite Goldfaden MD treatment or moisturiser. Absolutely & utterly the best cleanser there is. Extremely gentle, deeply cleansing gel. Its lovely to use, and does not dry out the skin. You feel fresh, clean without getting that awful tightness around the mouth area. Will definitely repurchase.